For dinner and ticket information, call our office at 336-8258. Our holiday gift shop is open every day until Christmas Eve. 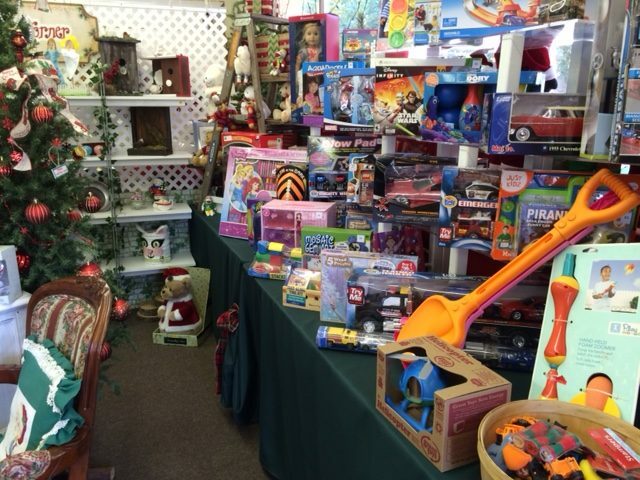 The Annual Holiday Gift Shop at Valley Churches United in Ben Lomond is now open. Extremely talented volunteers have created an exquisite ‘Shabby Chic’ décor, making this year’s gift shop an exceptional holiday shopping experience. New toys, and quality jewelry, vintage items, Christmas decorations, household items, and more can be found at very reasonable prices. Open now through Christmas Eve, the hours are weekdays from 10am to 5pm, and weekends from 11am to 4pm. 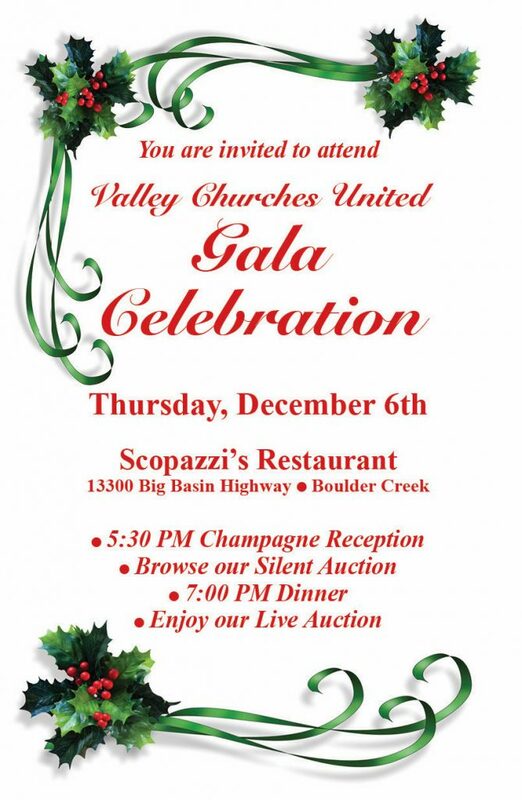 All proceeds from the gift shop support Valley Churches United nonprofit year-round food pantry. For more information, call 831-336-8258.